Limitations are few in number. 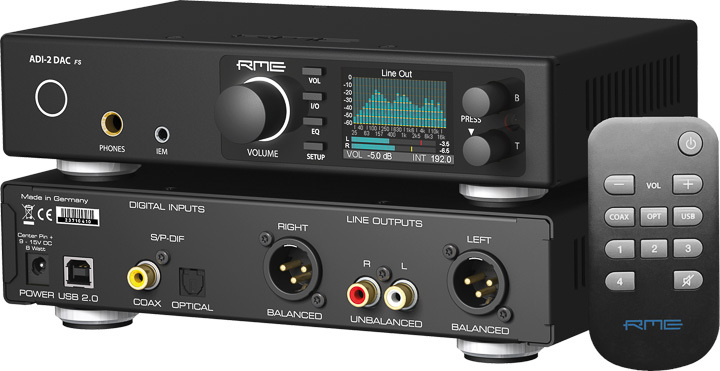 The RME is a DAC that stresses detail over rhythm, and some will choose a less forthright, more pleasingly ‘boppy’ sound. Moreover, if you want your DAC to give less than great recordings a soft-landing, look elsewhere; that resolution is always present, always a can opener into the studio... good and bad. Finally, this is not the device to tame demanding headphones with low sensitivity and impedance, as they can sometimes wind up thin and light sounding, EQ notwithstanding. We’ve barely scratched the surface of what the RME ADI-2 DAC can do, and what it can do is extremely impressive. If you want a DAC that tells it like it is – both regarding detail retrieval and status update and analyser display – the RME ADI-2 DAC is hard to beat for the money.